CREATORS NOTE: As we approach 10,000, there are a few thanks that must be given. First, to The LEGO Group and the Cuusoo team for the opportunity for LEGO fans to have their creations realized as actual sets. Also, to Sherlockology for their dedicated support for this project - it wouldn't have happened without you guys! 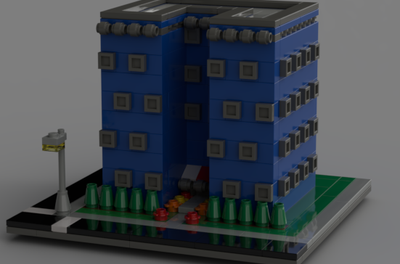 And to Glenbricker's Review for all the help and great renders. Finally, to all the amazing fans of Sherlock for the incredible support. 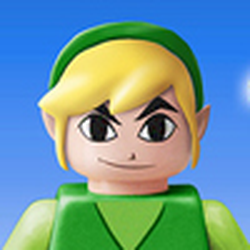 Your passionate display of support has, I'm sure, made an impression with LEGO. Thanks again to all who voted for this project! This creation is based on the wonderful BBC drama "Sherlock", a contemporary update of Sir Arthur Conan Doyle's world famous detective Sherlock Holmes. The set recreates the consultation room from 221 B Baker St., the flat of Mr. Sherlock Holmes. As shown, the set contains 370 pieces. I think the set should come with a sticker sheet for the mirror and rug. The set was designed with the adult collector and/or fan of the show in mind and so accuracy in matching the set was a priority. There are a number of building techniques employed throughout the set and I believe it would be an enjoyable build. 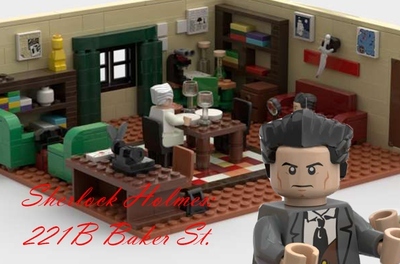 This set will feature three mini figures: the brilliant Sherlock Holmes, his faithful companion John Watson and the wonderful Mrs. Hudson, Sherlock's landlady. UPDATE 9/6/13: Eye colors have been corrected and Sherlock's shirt is now purple. UPDATE 9/10/13: New render of the set! 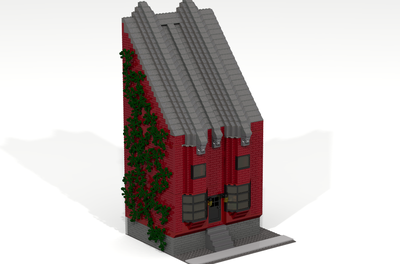 Many thanks to Glenbricker's Review for the render! UPDATE 9/20/13: Added Lestrade, Molly, and Mycroft. Mr. Holmes is ready to receive clients in his consultation room. The room is crammed with books and features two comfortable chairs, a cozy fireplace and Holmes' desk with reading lamp. There is also a side table with teapot, and a hat rack topped with the iconic Deer Stalker. Also included would be Sherlock's laptop which is not shown as it is difficult to render. This is an alternate/expanded version of the set, featuring Sherlock's couch and iconic wallpaper. The wall paper would be 5 stickers measuring 3x6 (bricks). I have also created a display stand for the set. The set at this size would be about 630 pieces, 450 without the display stand. One other feature with this set would be a card, printed with a view of baker street, visible through the windows. This is my concept for what the characters from the show would look like as minifigs. From L to R we have the deliciously evil Jim Moriarty, Scotland Yard's best Inspector, Lestrade, Sherlock's landlady, Mrs. Hudson, lab tech and Sherlock fangirl, Molly Hooper, and Sherlock's brother, aka the British Government, Mycroft. These are presented as a possibility if this project is made into a set. Would/should all of them be included in a set? 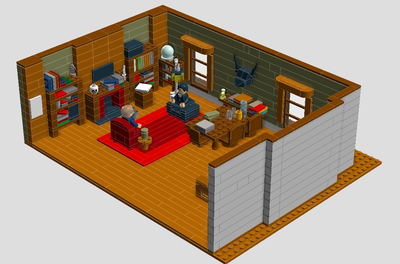 If LEGO were to produce my original concept, basically half of Sherlock's consulting room, I would imaging it would come with Sherlock and John, and maybe one or two other figs. The larger (read: much more expensive) set could easily contain ALL of the figs.